One of the thrilling instagram account to follow for the book lovers. It is well known for selling author-signed books at affordable rates that makes a bibliophile grin from ear to ear. This is yet another must follow instagram account for the book lovers. It is one of the leading bookstore chains of India wherein you will find books of different genre to satisfy your cravings for literature. 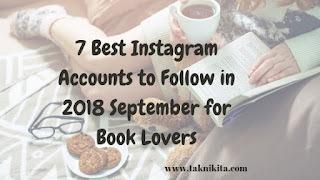 This is one of the awesome instagram account wherein you will get to know about the best books to be added in your bookshelf. Another best instagram account to follow for the book lovers around the globe. One of the best Indian poet and storyteller, who, apart from writing poetry and science fiction, also loves blogging. You will find various kinds of blogs on her instagram account. It is another best instagram account to follow for the books lovers worldwide. Here you will find mesmerizing book related posts that you will go gaga over. This is one of the topmost instagram accounts to follow for book lovers in the world. Here you will find wide varieties of book related posts that will leave you amazed. 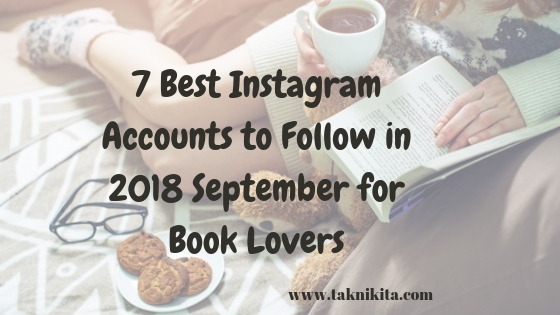 This is also one of the most-liked instagram accounts to follow by the book lovers. There are assorted range of book related posts to have glance at, on this instagram account.